In the year since Lathrop was designated Stanford’s 24-hour study space, students have come no closer to pronouncing “Lathrop” with any sort of accuracy or consistency. From “Lathrop” and “Lathrop” to even “Lathrop,” students have found more ways to mispronounce “Lathrop” than the number of people the space can actually accommodate. In a survey where student participants were asked to name the study room, 14 of 25 were unable to pronounce “Lathrop” even remotely correctly. 10 of 25 had never heard of Lathrop and asked if “that’s why they tore down Meyer.” The remaining student, who had, miraculously, been to Lathrop and could pronounce its name relatively accurately, noted that the coffee machine was too loud. Lathrop-goers, however rare, have begun to refer to the modestly-sized room as “the library,” in hopes that they can avoid having to say “Lathrop” out loud when describing their whereabouts. 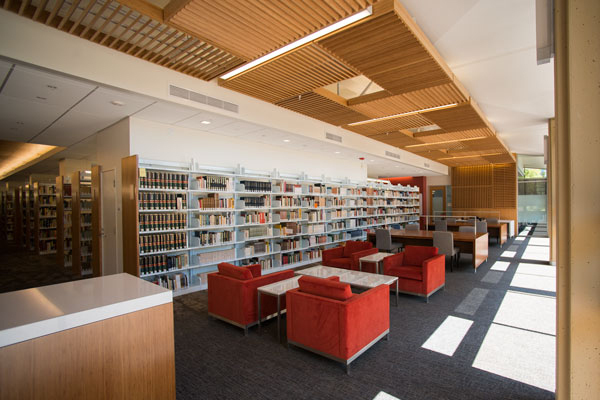 Their strategy, however, has drawn the ire of Meyer traditionalists, who think that calling it a library is an even greater offense than calling it “Lathrop.” This has further divided the campus on the the issue, which many believe will go unresolved as long as Lathrop is still standing.